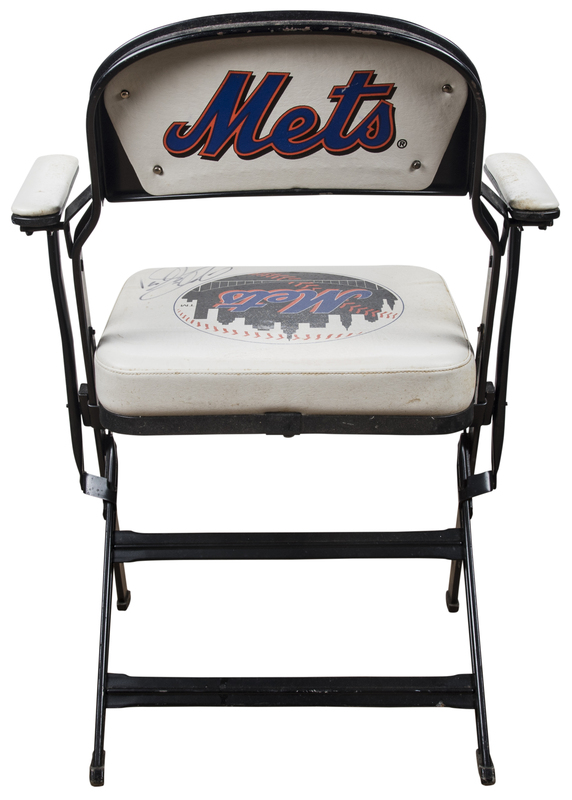 This New York Mets locker room chair was used and signed by Hall of Fame catcher Mike Piazza. 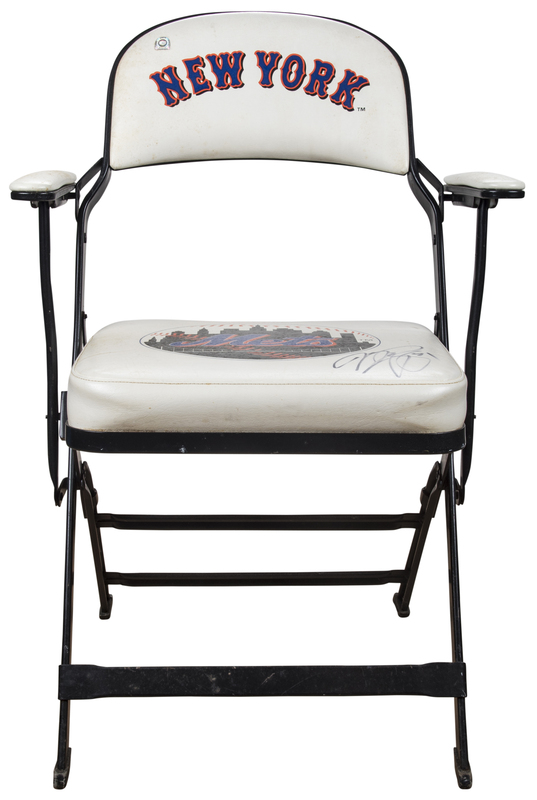 This was Mike Piazza's final locker room chair as it was was removed from the locker room by MLB authenticators after the final game of the 2005 season, a game against the Colorado Rockies on October 2nd, that doubled as Piazza’s final game with the Mets. This chair is made of black metal with white cushions. A Mets skyline logo is applied to the seat cushion, while “NEW YORK” is printed on the headrest in blue, orange, and black lettering. “Mets” is printed on the back of the headrest in the same fashion. 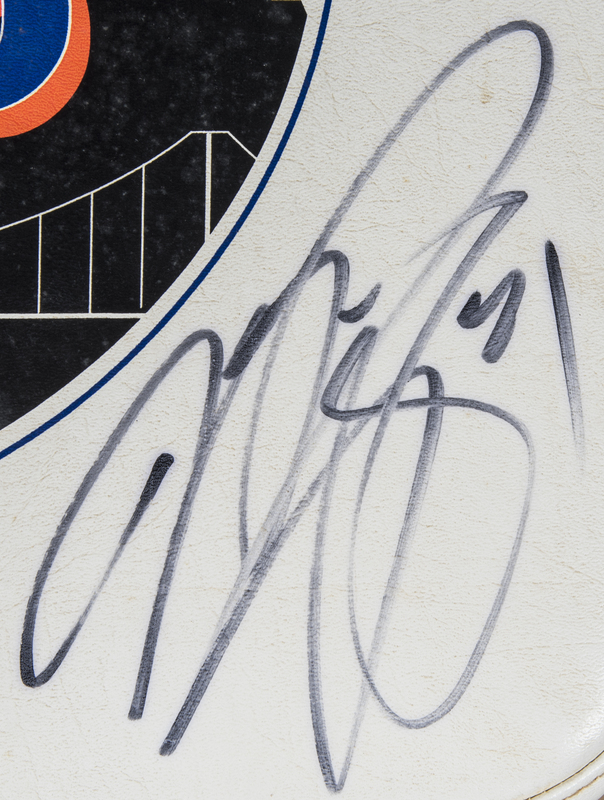 Piazza has signed the seat cushion in black marker. 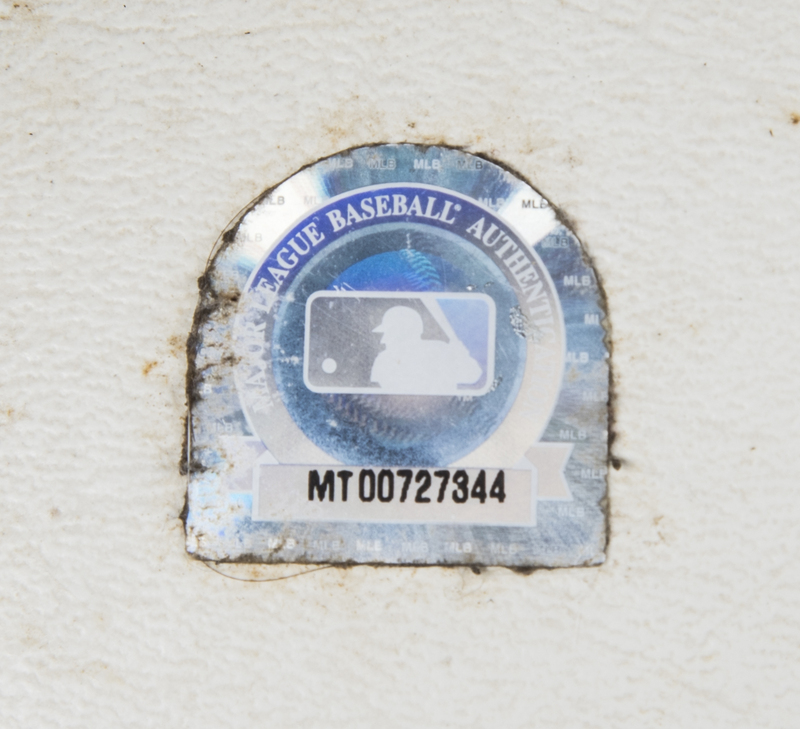 This chair comes with a MLB Authenticated hologram (MT 00727344). 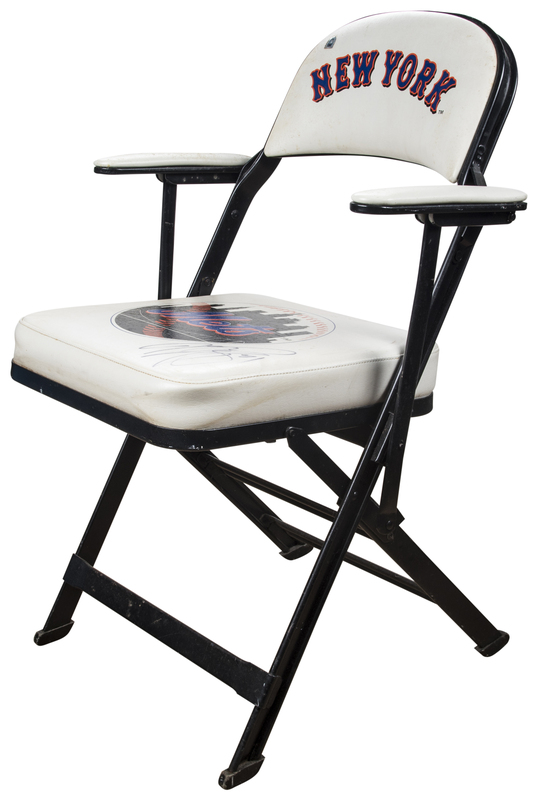 This chair has been pre-certified by Steve Grad of Beckett Authentication.